Yo-ho, yo-ho, a pirate's life for me! This all-silk necktie brings the black sails with skulls and crossbones to life right across your chest. With such infamous na... read more Yo-ho, yo-ho, a pirate's life for me! This all-silk necktie brings the black sails with skulls and crossbones to life right across your chest. 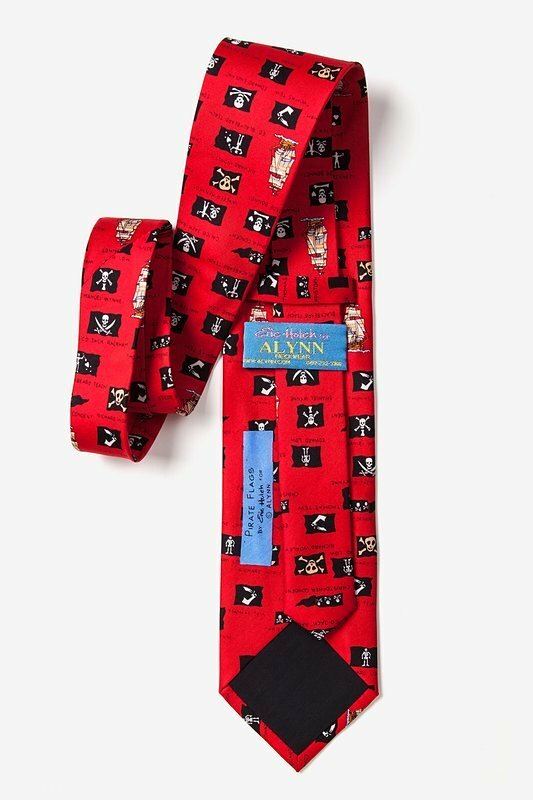 With such infamous names as Calico Jack, Blackbeard, and Edward Low, this devilish tie is sure to scare any and all that stand in your way. 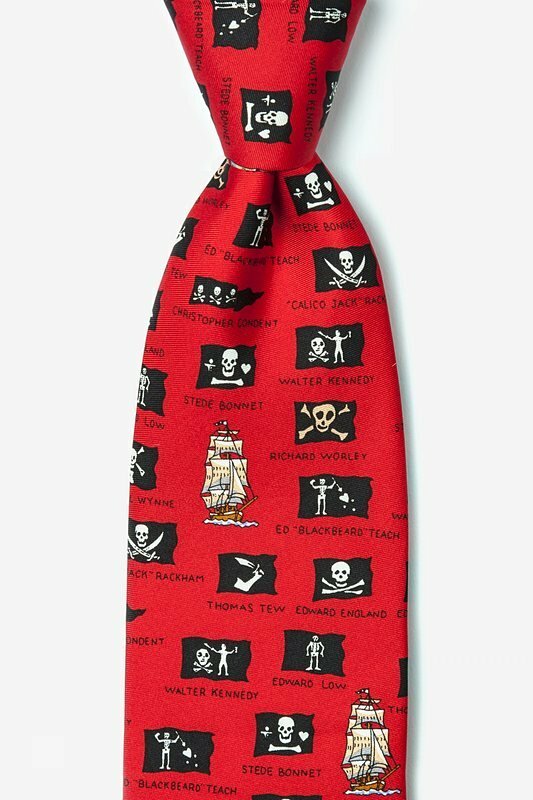 For style as rare as Pirate's treasure, look no faarther than this Pirate Flags Tie!